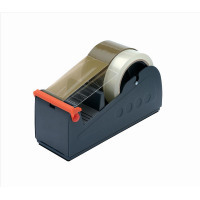 This tape dispenser in metal is ideal for post room or warehouse. The rubber feet protect surface and prevent dispenser from slipping. It is a multicore dispenser giving the user the best of both worlds.